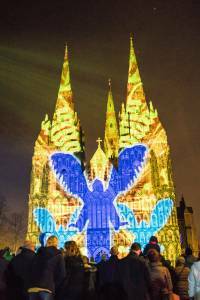 Lichfield Lumiere 2016 was a 5 day installation accompanied by an extended program of events in and around the city during December 2016. 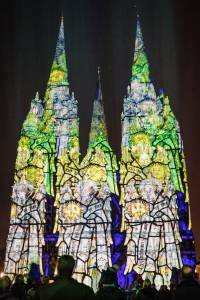 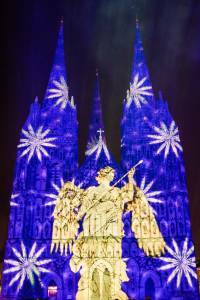 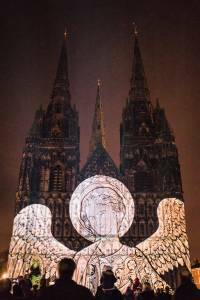 The final events which incorporated a stunning large scale son et lumiere on the facade of Lichfield Cathedral was seen by over 20,000 people created by Luxmuralis. 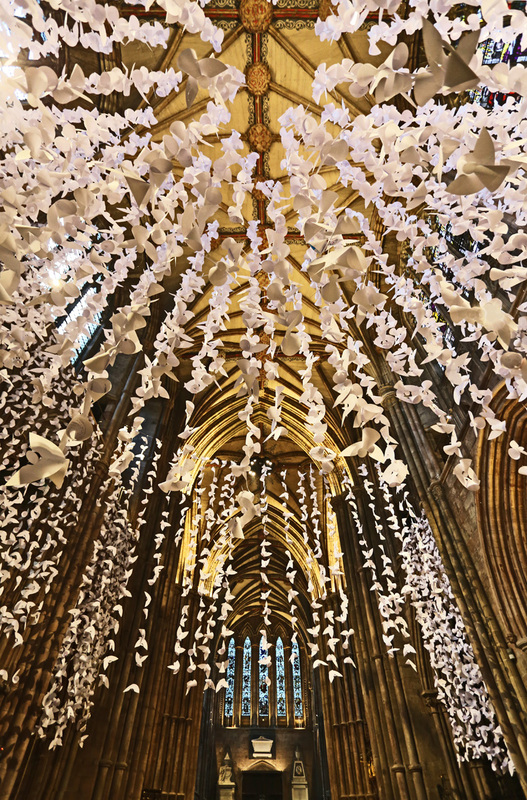 10000 free ticket holders also had the opportunity to see the stunning 10000Angels installation of 10000 individual paper sculptures created by sculptor Peter Walker and each containing a message written by a local school child suspended from the ceiling of the South Transept of the Cathedral. 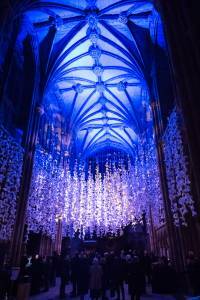 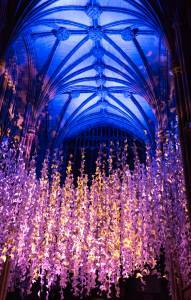 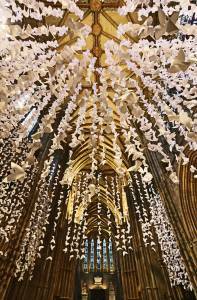 Lichfield Lumiere also involved hundreds of people working with artist Hannah Golding and Sophia Moseley to create angel lanterns which adorned the Cathedral nave, a beautiful light and sound artwork by Luxmuralis in the Lady Chapel and additional projected works. 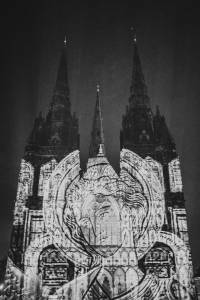 Lumiere also saw thousands more experience 3 further projection works around the city during the 19-23 December and pop up project light tags around the city. 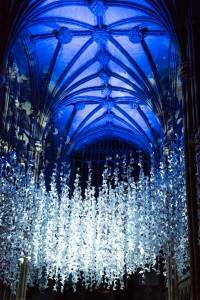 It also snowed from the roof of the Garrick theatre. 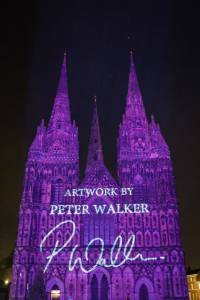 In total over 100,000 people saw the artworks created in some form during the event period which lasts until 6th January 2016. 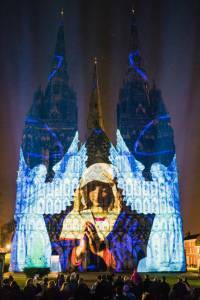 Online commissioned videos also developed the lead in to the project with an alternative Christmas Advent Calendar – seeing 24 bespoke films reveal different sides about the city and Christmas from different perspective, a project which worked with 9 different organisations and was seen reached to date over 250,000 people. 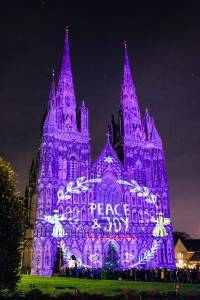 We were delighted that Midlands Today and Itv Central also recorded live from the event. 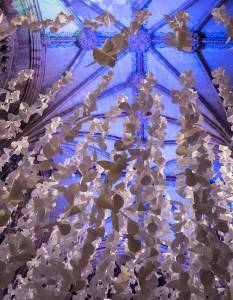 Here you can see images from the 10,000 angels Installation by Peter Walker Sculptor.